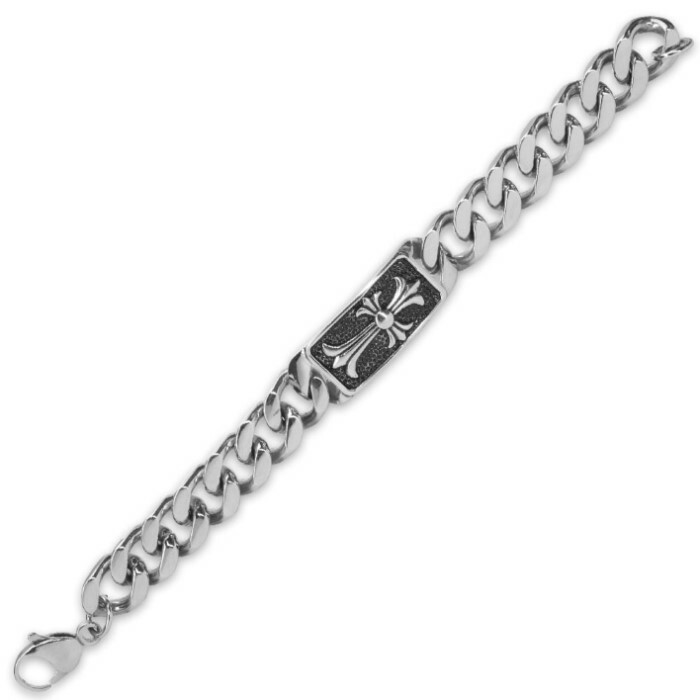 Show your faith with style with this handsome cross bracelet! The focal point is a beautifully designed floralesque cross raised in striking relief and polished to a mirror finish. It rests on a dark, delicately pitted background, yielding brilliant contrast and delightful texture. The cross and surrounding frame is at the center of a chic angled chain, also polished to a vibrant high shine. This sleek cross bracelet looks equally amazing on men and women and pairs well with practically any outfit. Its high quality stainless steel construction boasts a sheen, corrosion resistance and durability that simply can't be matched by more traditional - and, not to mention, expensive - jewelry materials. Precious metals like silver and gold tarnish and fade, and even advanced modern ceramics are prone to chipping. 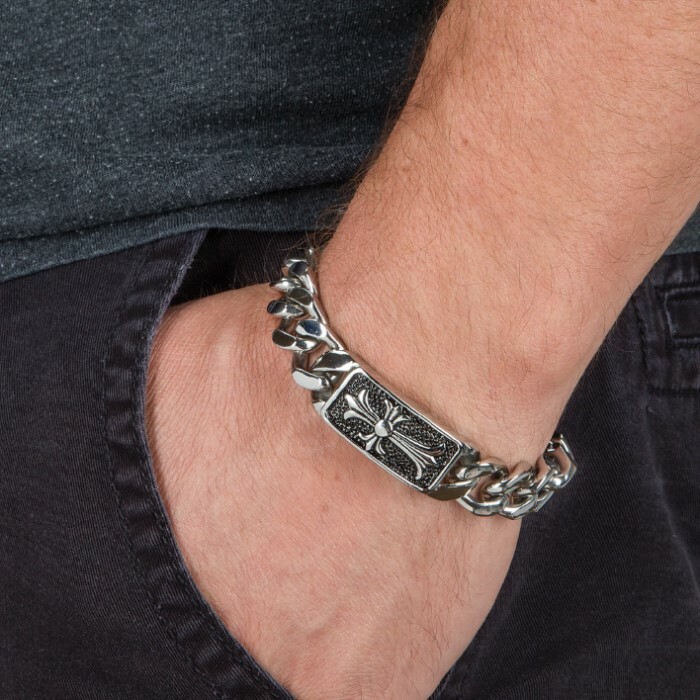 But this cross bracelet is forged for a lifetime of vigorous wear, so you needn’t fear damage while performing carpentry, vehicle repair/maintenance and other hands-on work. At 8 1/2" long, one size fits most. It's easily secured and removed via the convenient lobster clasp. This charming cross bracelet makes a fantastic, memorable gift, and you won’t find better prices on fine jewelry like this anywhere else!